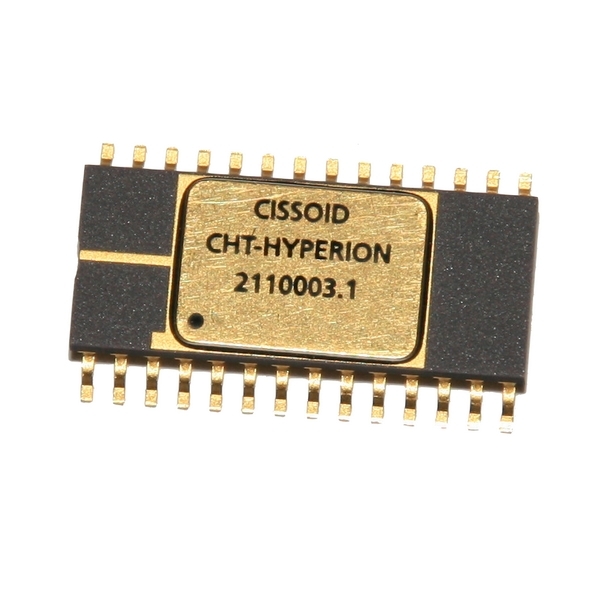 HYPERION is suitable for driving MOSFETs in DC-DC converters and for half-bridge gate driver designs in electric motor control applications and power inverters. With a typical on-resistance of 1 Ohm, both high-side and low-side can drive up to 1 nF loads with a 40 ns propagation delay and 15 ns transition time at 200°C. Internal, adaptive non-overlap circuitry further reduces switching losses by preventing simultaneous conduction when used in MOSFET drive applications. The high-side floating driver is bootstrapped and can accommodate voltages as high as 35V on the bootstrap node. An under-voltage lockout function holds the high-side switch off until the driver has sufficient voltage for proper operation. A crowbar input turns on the low-side driver independently of the input signal state, and a low-side disable pin allows operation in non-synchronous mode. A shut-down pin turns off both the high-side and the low-side drivers. DC-DC Converters and Electric Motor Control for Oil&Gas, Industrial, Aerospace & Automotive.